Raising Funds to provide better equipment and facilities at Musgrove, over and above what the NHS could afford to provide. It is still the case today that we wish to provide the best possible equipment for our local hospital which is now a very well regarded Foundation Trust Hospital. 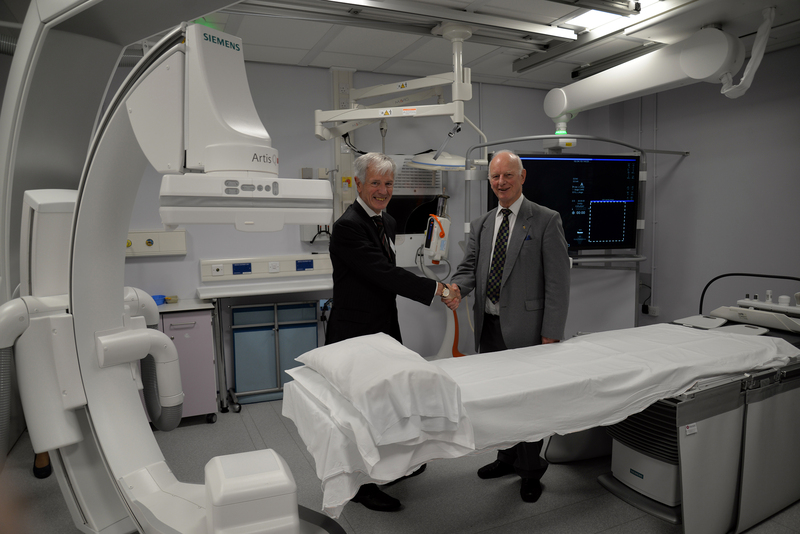 President of the League of Friends Chris Cutting and Trust Chairman Colin Drummond OBE DL at the presentation of the Interventional XRay machine in April 2018. 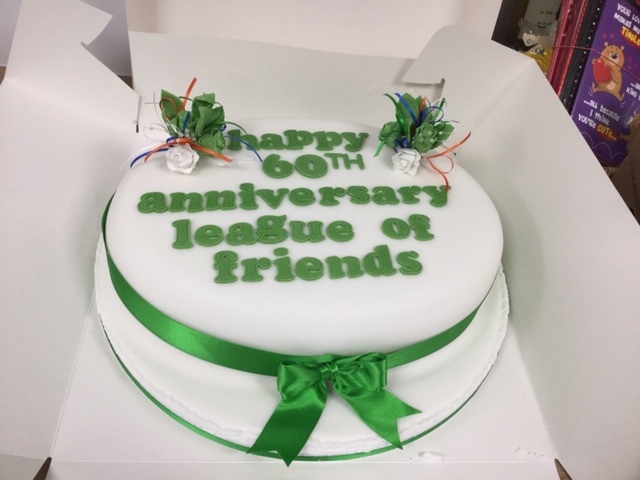 Costing £641,000, this was the largest donation the League of Friends has given in its 60 year history. Over the past 50 years we have helped provide many pieces of essential equipment benefitting most hospital departments, from comparatively small items like wheel chairs and syringe drivers to funding for some major building and refurbishment works. In addition to these large amounts, we accept numerous small bids spread throughout the hospital, ranging from items of furniture to dementia friendly games for use on the wards. 2019 sees the Launch of the Bracken Birthing Centre Appeal. The League of Friends has pledged to give £300,000 to Bracken Ward to fund the renovation of the Unit so that the resulting birthing rooms and bathrooms provide greater choice and comfort for the mother in labour as well as providing an efficient and practical environment for the midwives and maternity staff. One of the new birthing pools. Thank you so much for your help with these projects – we couldn’t have done it without you! We have a shop in the Old Building, and also a trolley service around the wards 3 times a week. We purchased new lighter trollies in 2014 which make life easier for our volunteers. These are run by over 200 Shop Volunteers on a rota, supplying patients, visitors and staff with some of the little extras that make life more comfortable – such as newspapers, magazines, sweets and toiletries. Profit from this service goes towards our current appeal for equipment for the hospital. If you would like to make some new friends and spend a worthwhile few hours each week helping us, why not ring and find out more or read our volunteering page. You would work with a buddy and need commit to no more than a few hours each week or two. If you are interested in helping us in this way please contact Shop Manager Jackie Booth on 01823 342394. The forerunner of the trolley service? 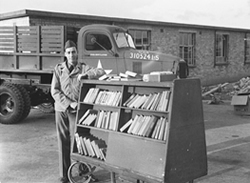 A library for the wounded soldiers when Musgrove Park was first built and run by the American army during the war. The current Old Building shop started out after the war as a cafe run by volunteers of the League of Friends. One lady told us, “My husband had been posted down here during the war. After the war it seemed the obvious thing to do, to volunteer for Musgrove – it was the main thing in the area and I thought it would be a good way of meeting people and making new friends. So my friend and I started out working in the League of Friends cafe”. Monday to Friday: 8.15am to 8.00pm. Saturdays and Sundays: 2pm to 4pm. Good second hand paperback books are sold in the corridor outside the Duchess Building shop by volunteers one midweek morning each week. (See times in shop window). Last year they raised over £2,000!